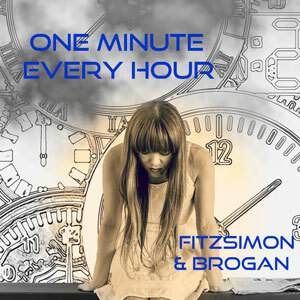 Fitzsimon & Brogan: “One Minute Every Hour” – natural, smooth, and precise pop! Songwriter Neil Fitzsimon, and vocalist Bee Brogan, better known as Fitzsimon & Brogan FAB is a musical project based in London. The two setup their songwriting and production team to create, what they describe as “pure pop for now people.” Both were previously in a band called Pretty Blue Gun who featured guests musicians such as members of The Art of Noise, Dave Bronze (Eric Clapton’s bass player), Tobias Boshell (Moody Blues) and Pip Williams, who played guitar on the Walker Brothers’ track, ‘No Regrets’. The two critically acclaimed albums were produced by Pat Collier, who produced Katrina and the Waves’ international hit, ‘Walking on Sunshine’. The partnership of Fitzsimon & Brogan has since gone on to place their songs in Film & TV and also write a musical called “Jack Dagger” along with their 13 track album “Big Blue World”. The single – “One Minute Every Hour” – actually comes off the aforementioned album, and it again shows how this duo is coming together more and more with each release hitting the nail on the head with what makes a great pop music. It’s consistent, natural, smooth, precise, nostalgic, emotive and so sincere. There are so many beautiful subtleties within Fitzsimon & Brogan’s music that allow for repeated listens. Artists usually have a creative arc, starting tentatively and building confidence until reaching a creative climax. FAB is following that path. 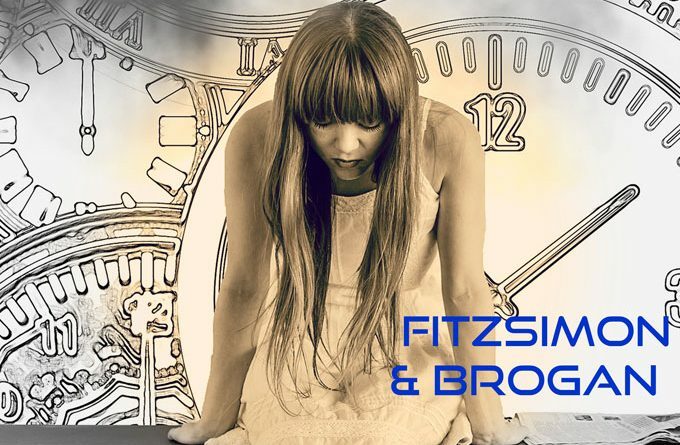 Although Fitzsimon & Brogan’s music exists squarely in the here and now, its luscious soundscape and melodic, conversational vocals harken back to the golden age of naval gazing pop–the sort of stuff that is hard to find now. What sets “One Minute Every Hour” apart is the well-crafted melody and an endless supply of really great instrumentation that shimmers and shines and bubbles like a stream gently but quickly flowing fresh water over rocks on a sunny spring day. The result is a nearly-perfect late-spring, early summer record. If you close your eyes and listen to this track it makes you think of throwing the windows open on the first refreshing day of spring. The warm sun, still a cool crisp bite to the air, a quiet breeze and birds singing. It is a wonderfully melodic and uplifting arrangement of music. Add in Bee Brogan’s voice and you can’t go wrong with this delightful listen. She has has never sounded so pristine, so crisp and so clear than she does her. With repeated listens, this song really makes an impact on the listener; lush strings and keys, shimmering guitar lines and a sneakily sweet melody about yearning combine to create a track that flows smoothly from start to finish. Between the lyrics and melody on this thing, there are countless aspects of “One Minute Every Hour” to love, and with each listen you will find a new one.